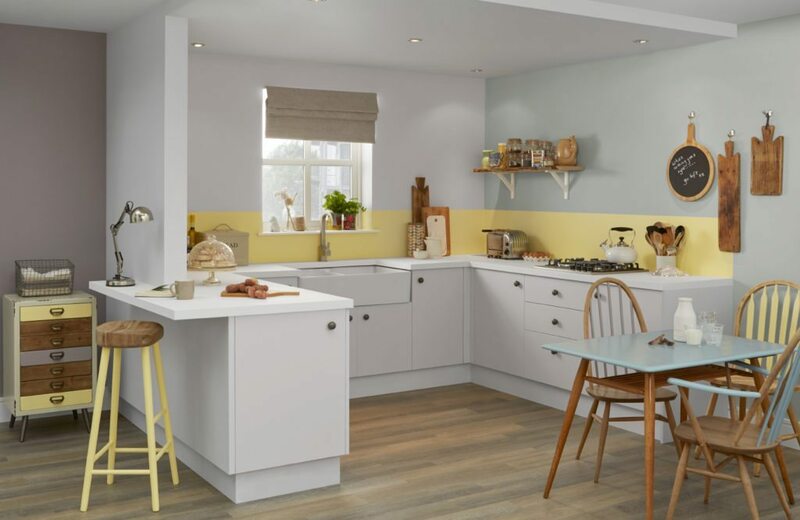 Choosing which colour to paint a room can be a tough decision – after all, you need to think about light levels, the room’s shape and how it will match your furniture. 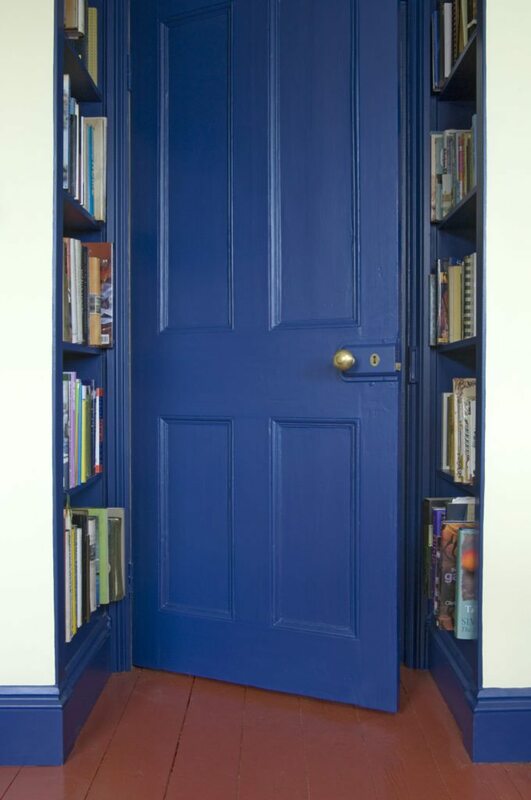 And once you’ve chosen the shade, you need to decide which kind of paint will suit the room best. Fortunately this decision is much simpler: you just need to know what your choices are and think about how you’ll be using the room. Our guide walks you through these options so you can make the right choice. 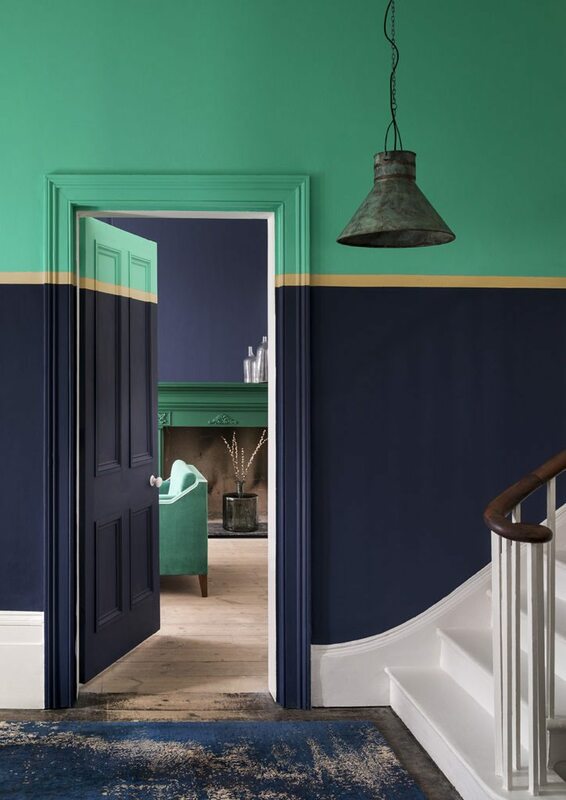 Midnight Navy in matt from the Feature Wall range at Crown Paints, (from £13 for 1.25L) is paired with Imperial Gold in matt from the Period Collection (from £18 for 2.5L). The majority of interior walls and ceilings are painted using emulsion. This is a water-based paint that dries faster than traditional solvent-based paint and has a lower volatile organic compound (VOC) content. VOCs are chemicals that evaporate into the air and are thought to harm our health and environment. Solvent-based paints have been criticised for releasing too many VOCs and in recent years, water-based paints have gradually taken their place. Pink Damask (walls) is teamed with Chantilly Lace (ceiling and trim) in this luxurious living room. Prices start from £20.50 for 0.94L from the Regal Select Flat range by Benjamin Moore. Emulsion comes in three common finishes – matt, satin and silk – all of which have a different amount of sheen. As a rule of thumb, the shinier the finish, the tougher it is (and thus the easier it is to clean). However, there are exceptions to this rule. Manufacturers are now developing tougher matt paints that you can wipe down with a wet cloth without damaging the surface. Valspar‘s Premium Blend v700 Walls & Ceilings is a paint and primer in one. Priced around £28 for 2.5L at B&Q, seen here is Midnight Petunia. A matt paint tends to diffuse light rather than reflect it. As a result, it’s great for hiding imperfections such as small bumps and cracks on the wall. It also provides a great depth of colour. Keep in mind that matt finishes are not always durable: if you try to sponge off small marks, you may wear away the finish, leaving a patchy effect. You can solve the problem by investing in a quality brand that’s washable. That said, it’s generally advisable to steer clear of matt finishes in super-busy areas such as the hall because the walls are likely to need a lot of wiping. Stick to using them for ceilings and medium-traffic rooms such as living rooms, dining rooms or adult bedrooms. 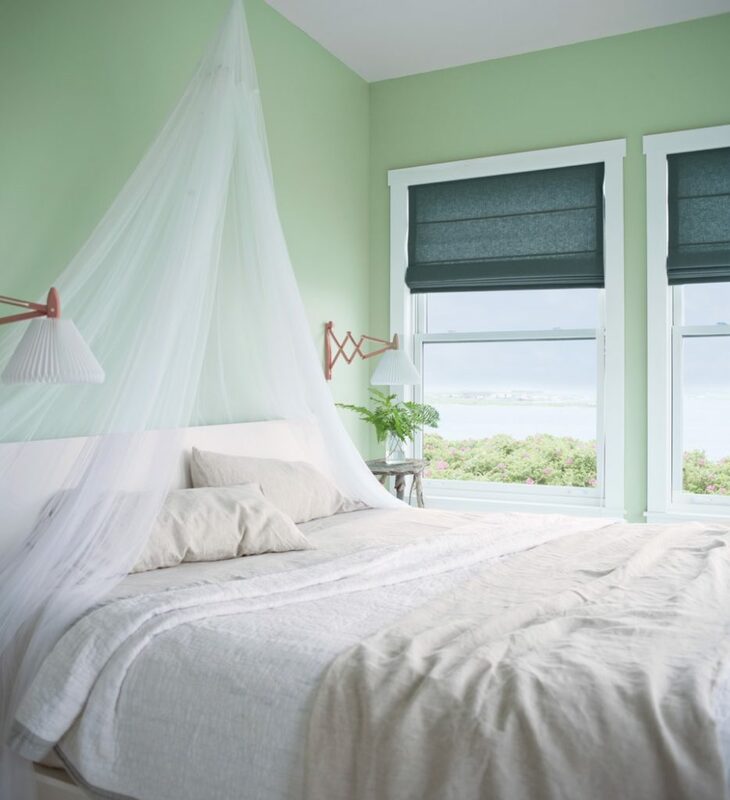 Van Alen Green from the Regal Select Flat range by Benjamin Moore produces a matt finish. Prices start from £20.50 for 0.94L. Silk and satin are often described as mid-sheen finishes because of the slightly polished surface they produce. Typically, silk is for walls while satin is used for woodwork. 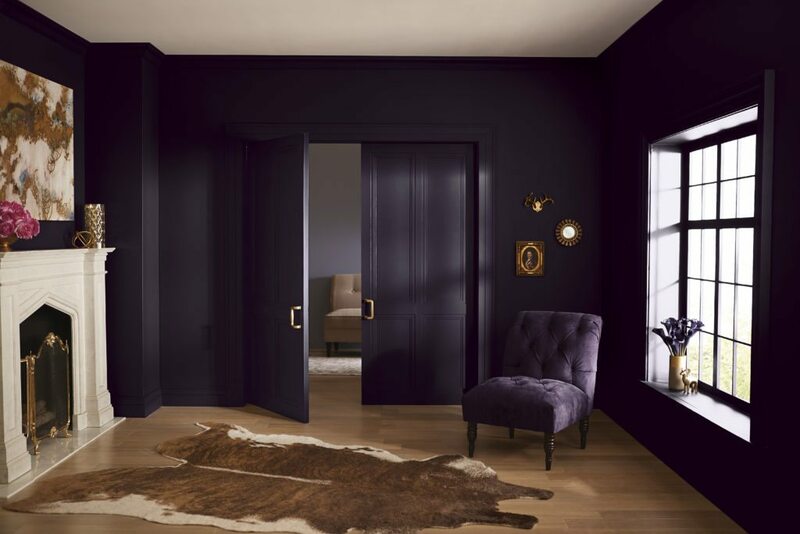 The beauty of a silk wall finish is that it’s easy to wipe, which makes it a practical solution for anywhere that gets grubby (think hallways, staircases and children’s bedrooms). However, because it’s shiny and reflects lots of light, it is best avoided if you have less-than-perfect walls because imperfections may show up. Drawing Room Blue No.253 from Farrow & Ball is priced £110 for 5 litres and £66 for 2.5 litres. An eggshell finish has a touch more shine than a matt one, but it’s more delicate than a satin or silk-effect finish. Wipeable and hardwearing, it’s recommended for woodwork and metal, but you can also use it on walls if you want a heritage look. Traditionally, eggshell finishes were oil-based, which meant they weren’t eco-friendly or simple to clean up. Now, companies have phased out their oil-based eggshell paints in favour of water-based alternatives with naturally low VOC levels. 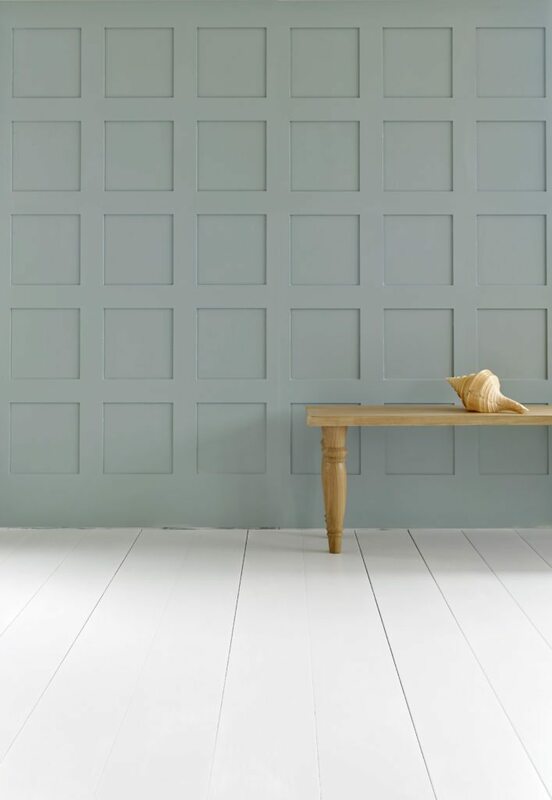 Museum No.151 Eggshell by Myland Paints was inspired by London museums of the Victorian era. It’s priced from £60 for 2.5L. Gloss finishes provide the greatest shine so they’re generally the easiest to clean. Usually reserved for wood or metal, they can be used on walls but require a smooth, well-prepared surface because they tend to show up imperfections. Touch-ups of this finish will also stand out because of the difference in sheen, so don’t skimp on prep work. 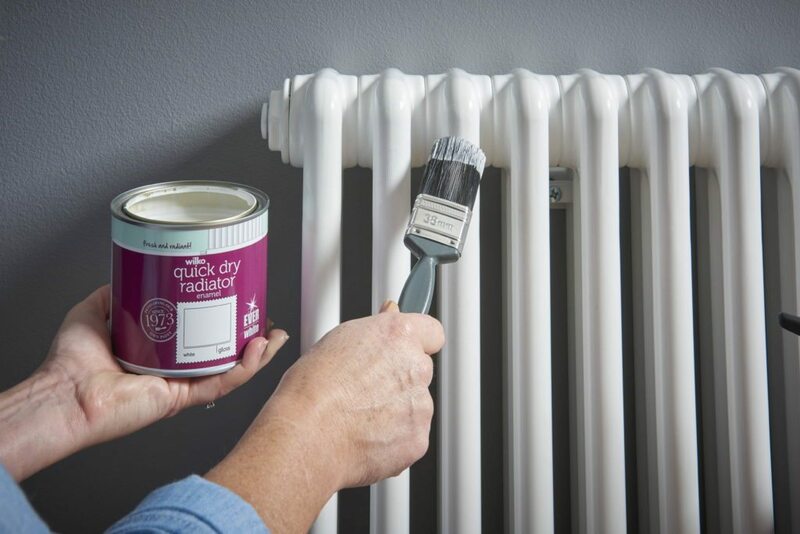 Wilko Quick-Dry Radiator Enamel in Gloss White provides a tough, heat-resistant finish for radiators and wood. It’s priced £20 for 1L. Find out at a glance if a paint shade you like is suitable for your space by reading the tin. You’ll find that some paints are designed for particular environments: for example, you can buy paint specifically designed to withstand steam and condensation that’s ideal for bathrooms. Kitchen paints are moisture-resistant and can withstand grease and stains. Specially formulated to help kill 99.9% of household germs on the paint surface, Lemon Squash (yellow), Marble Top (blue) and Splash of Pepper (grey) are all from Crown Paint’s kitchen paint range, £20 for 2.5L.